Missing one or more teeth is a serious issue, and many patients may understand that dental implants are one the best ways to fill in those gaps. However, going through with the surgery can often be a challenge in of itself. Here at the practice of Dr. Grubb, we offer methods of sedation dentistry to put you at ease before you enter our office, and prepare you for the surgical placement once you’re in the chair. Possessing dental anxiety is not unusual, especially for those who may have had previous bad experiences at the dentist. In cases of simple checkups or cleanings, sedation dentistry of a lighter variety can help a patient relax for their appointment. For more complicated procedures like oral surgery, grafting, and more, deeper sedation is desired, so that the patient will feel no pain during the procedure. This does not necessarily “put them to sleep” but puts them in a state of dilute awareness, where they can answer Dr. Grubb’s questions, but don’t have any pain or any recollection of the procedure. 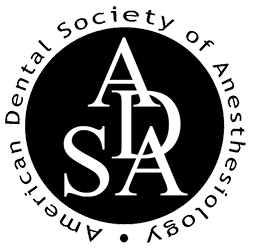 The goal of sedation dentistry is to better prepare patients for their treatments or procedures to come, and to do so without the fear or anxiety they typically experience. When you consult with Dr. Grubb, you will discuss all manner of sedation options for your dental implant treatment and discover which ones are best for you. Here at Family Implant & Reconstructive Dentistry, Dr. Grubb is certified and licensed to administer the following sedation methods. Nitrous oxide, also known as “laughing gas”, is inhaled through the nose and leads the patient into a light state of sedation. You will feel calm and relaxed for your treatment, the effect wears off after the nitrous oxide is removed. When it comes to dental implant procedures, Dr. Grubb prefers IV sedation as a safer alternative that can be controlled during surgery through each stage. IV sedation offers a deeper form of sedation that allows the patient to enter a “twilight sleep” wherein they will still be conscious, but will feel no pain and have no memory of their procedure. However, the effects of the IV sedation don’t wear off immediately, so it’s best to bring a friend or family member to transport you to and from our office. Sedation dentistry, especially before and during extensive treatments like dental implants procedures, can help put you at ease before you reach our office and before the surgery begins. As one of the few dentists in Harford County to be licensed in the administration of IV sedation, trust in Dr. Grubb to keep you calm, comfortable, and ready for your dental implants procedure here at Family Implant and Reconstructive Dentistry.